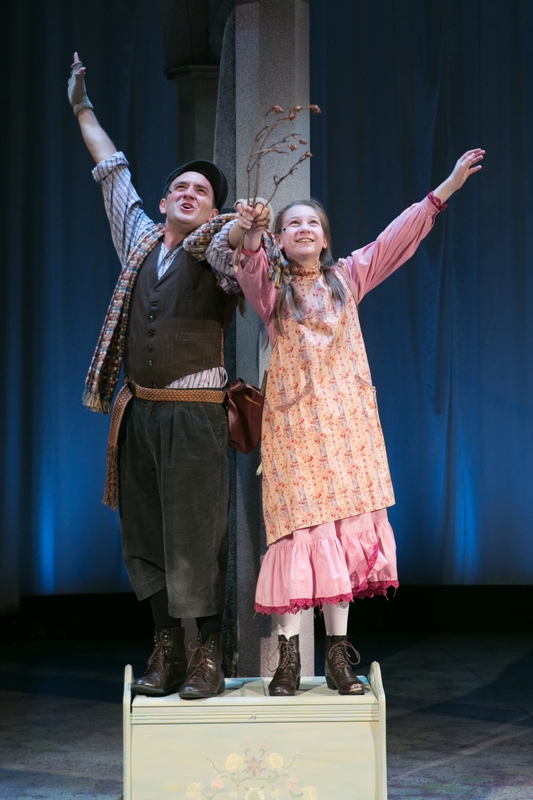 STONEHAM — There is much that is beautiful about the Stoneham Theatre’s production of the musical “The Secret Garden,” but you can’t get away from the fact that it is decidedly downbeat for the longest time until things brighten in the second act. Indeed, the first act is stagey, wordy and slow-moving, and would depress a hyena. But if you can stick through it, the musical and theatrical rewards will be apparent in Act II. The adaptation of Frances Hodgson Burnett’s beloved children’s book is the story of Mary Lennox, a neglected 10-year-old girl suddenly orphaned when her parents are felled by a cholera epidemic in India. Mary (Brigit Smith) is sent to live with a hunchbacked uncle named Archibald Craven (Kevin Cirrone), who is still mourning the loss of his wife Lily (Jennifer Ellis), who died during childbirth, turning his estate, Misselthwaite Manor, in a remote corner of Yorkshire, into a place of despair. Not an ideal place for a young girl already feeling the blues. Dr. Neville Craven (Rishi Basu), Archibald’s brother, has suspended his medical practice to care for Archibald’s bedridden, sickly son Colin (Dashiell Evett), but may have some ulterior motives that cloud his outer goodwill. Nancy E. Carroll is on hand as a stern housekeeper, Mrs. Medlock, and Christiopher Crew as Ben Weatherstaff, the wizened old gardener who has attempted to keep Lily’s neglected garden alive. Also on hand to deliver some welcome comic relief are a maidservant, Martha, played by Tess Primack, and her quirky brother, Dickon, portrayed by Andrew Barbato. Mary is an unhappy child — she makes no bones about it — but she makes friends with Dickon, and together they begin secretly reviving her late Aunt Lily’s locked garden on the estate. No one really leaves in “The Secret Garden” — the Craven mansion is haunted by the ghosts of Mary’s dead parents, Captain Albert Lennox (Matthew Eamon Ryan) and Rose (Alex Johnson), as well as Lily, and they act as a sort of Greek Chorus and will be around for the duration. The voices are lovely. Kevin Cirone as Archibald has been building a solid resume of musical roles at area theaters and he sings with strength and confidence, and is matched by the luminous Ellis, whose heartbreaking “Come To My Garden” is the musical’s signature song. Things do brighten in the second act, both in terms of what happens to the character of Mary, and musically to boot. Brigit Smith of Wakefield, who makes her Mainsrtage debut as Mary, has been given a huge responsibility and she responds to the task at hand with aplomb. Members of the theater’s Young Company program have been successfully integrated into many Mainstage productions, and with Smith playing such a key role in this production, it made sense that Caitlin Lowans, the theater’s asociate artistic director and director of the Young Company, and Weylin Symes, the theater’s artistic director, co-directed this production. The Stoneham Theatre production of “The Secret Garden.” Book and lyrics by Marsha Norman, Music by Lucy Simon. 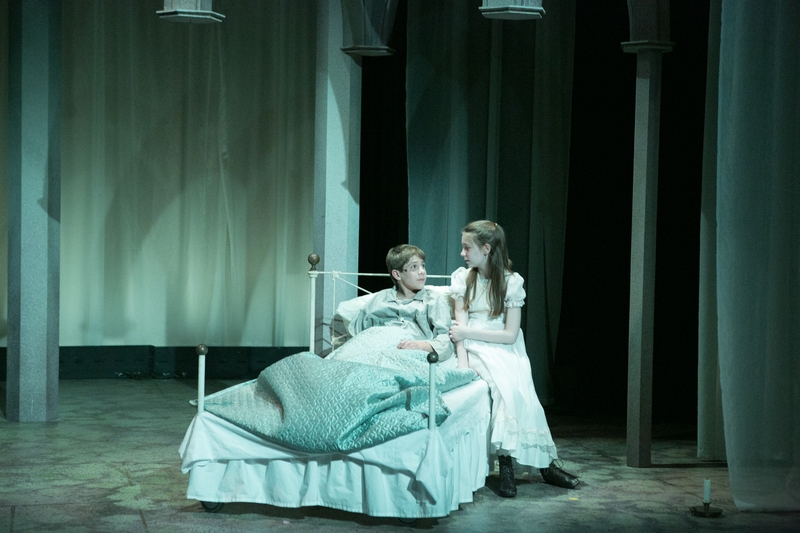 Based on the novel by Frances Hodgson Burnett Directed by Caitlin Lowans and Weylin Symes. At the Stoneham Theatre through June 8. www.stonehamtheatre.org.